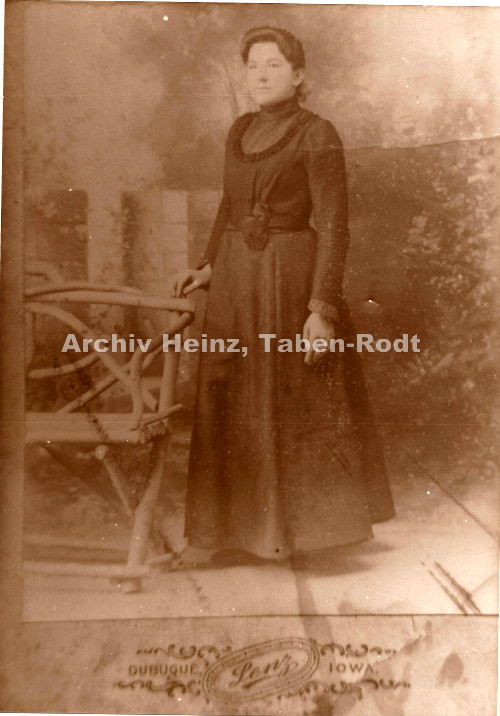 Emigrants/Immigrants from the village Taben-Rodt (Taben, Rodt, Hamm) to America and their life. Beachte: Inzwischen habe ich dieses Projekt erfolgreich abgeschlossen und das Buch “Tabener Auswanderer - Von Taben nach Amerika” fertiggestellt. Ich danke allen, die mich bei dem Projekt unterstützt haben. 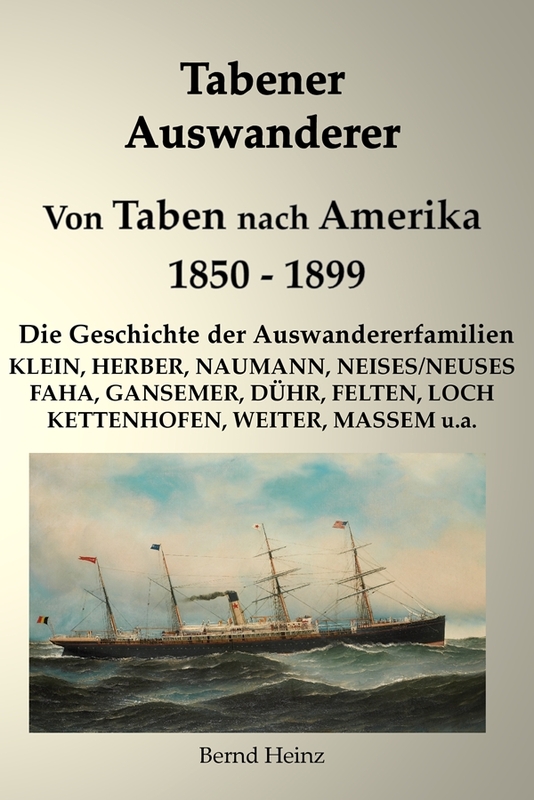 Please note: In the meantime I have successfully finished the project and finished the book "Tabener Auswanderer - Von Taben nach Amerika". In the second half of the 19th century, almost 15% of the inhabitants (approx. 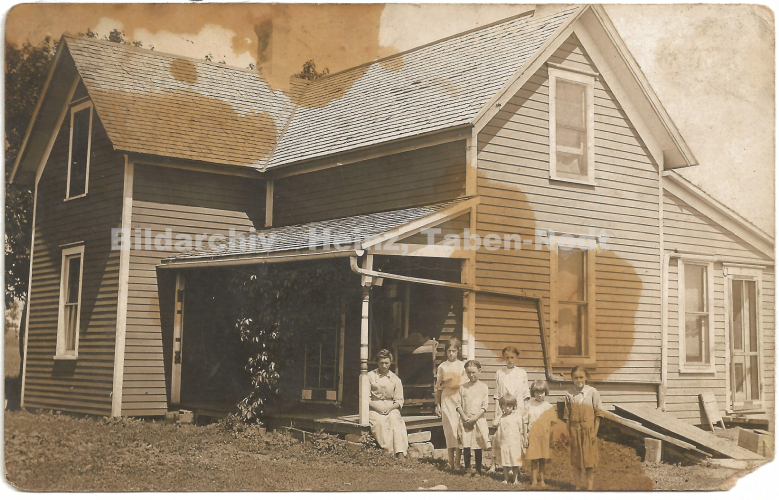 75 out of 550) of the villages of Taben, Rodt and Hamm emigrated to the USA. 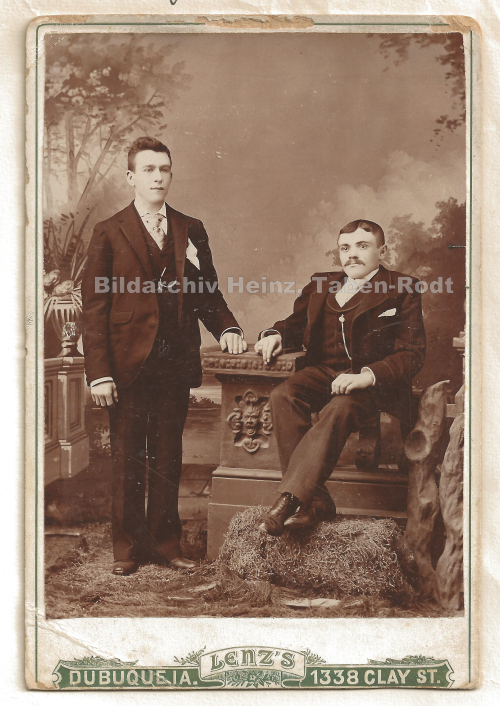 Although already over 150 years have passed, the descendants of the emigrating families still have a great interest in their German roots. Many have already revisited their old homeland and are interested in the village history dating back to the 634. Although visitors from the States and Canada usually are more interested in the reasons for the emigration, the interest of those who did not emigrate are curious about the stories of the emigrating families and first generations to live abroad. Typical questions concern the travel rout, the atlantic passage but as well the settling in the new homeland. Drawing from different sources, I could make a list of emigrants from Taben to America from 1800 to 1899. According to that list, 75 people (thereof 32 children) emigrated. However, I believe that the list is still incomplete. 1.) 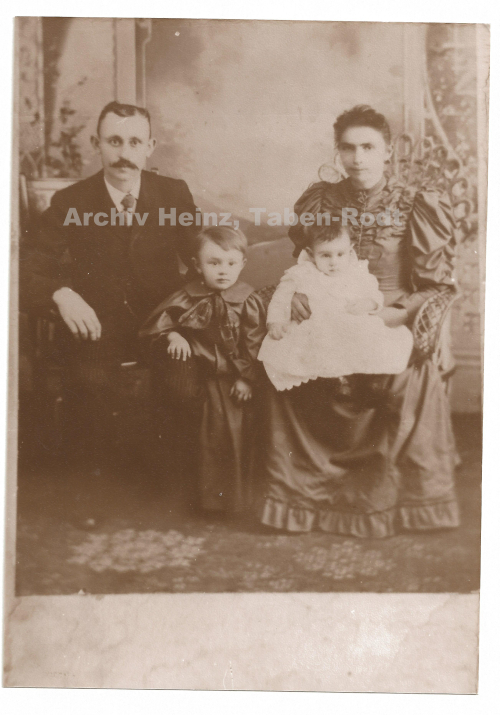 The life history from family John Klein (* 1820 Taben) and Catherine Herber (* 01.19.1828 Rodt), which immigrated to Iowa in 1854, was preserved in detail thanks to the recordings of Father Aloysius Schmitz, a Jesuit priest who unfortunately deceased in 2012. He collected all these information in the US, Canada and Germany. His visits to Taben-Rodt are kept in good memories. 2.) A few first information are known from Matthias Gansemer (* 1863 in Rodt), an emigrating bachelor. He travelled along with his girlfriend Maria Oswald (* 1870 in Saarhölzbach). They married and settled then in the area of Ashton, Osceola/Iowa. They had 10 children. Einen Auszug des Buches können Sie hier lesen. You can read a book extracts here. The goal of this project? Above all, my interest lies within the life stories of the first and second generations of emigrants. To illustrate their lifes I would also like to be incorporated copies of pictures, letters, or other documents in the book. To accomplish this, I need your support. Please help me to ensure that these memories are preserved for future generations. The current interim status of the project will regularly be published here on the Internet.